Oklahoma City’s Premier Chamber Ensemble Celebrates its 16th Year. The Brightmusic Society of Oklahoma continues the 2018-19 concert season of the Brightmusic Chamber Ensemble, its 16th as Oklahoma City’s premier chamber music ensemble. The remaining regular-season concerts and a four-concert Summer Chamber Music Festival are presented in Oklahoma City’s beautiful and historic St. Paul’s Cathedral, recognized for its acoustic richness. Artistic Directors Chad Burrow and Amy I-Lin Cheng have planned an engaging season featuring old masters, such as Mozart and Beethoven, energized by 19th- and 20th-century composers, such as Max Bruch and Sergei Rachmaninoff, with a few contemporaries thrown in for good measure. 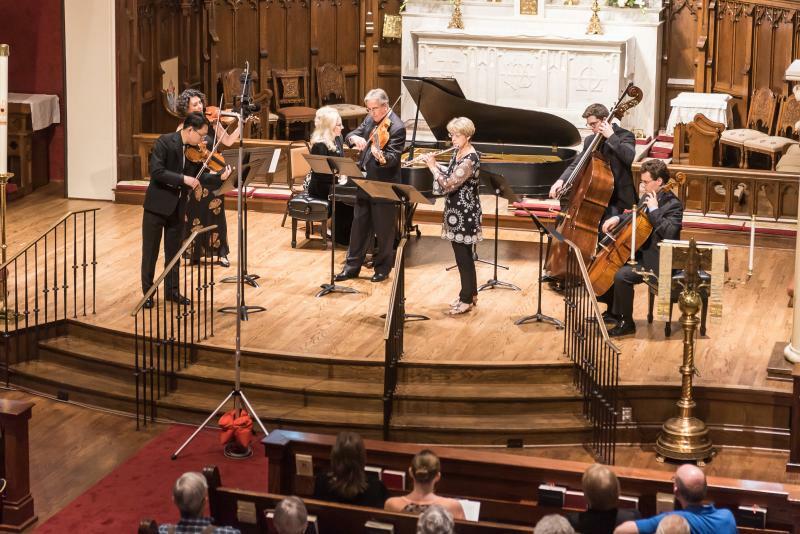 Brightmusic Chamber Ensemble is Oklahoma City’s premier chamber music group presenting fine classical music in a casual family-friendly setting. Come as you are and experience the intimate joy of chamber music. Free admission for children, students and active-duty military with ID. What is chamber music? Click here for “About” page. When and where is it happening? Tuesday evenings at St. Paul’s Cathedral in downtown Oklahoma City at 7:30 pm. Click here for dates and programs. Where do I park? Parking is easy and free! Right across 7th street.